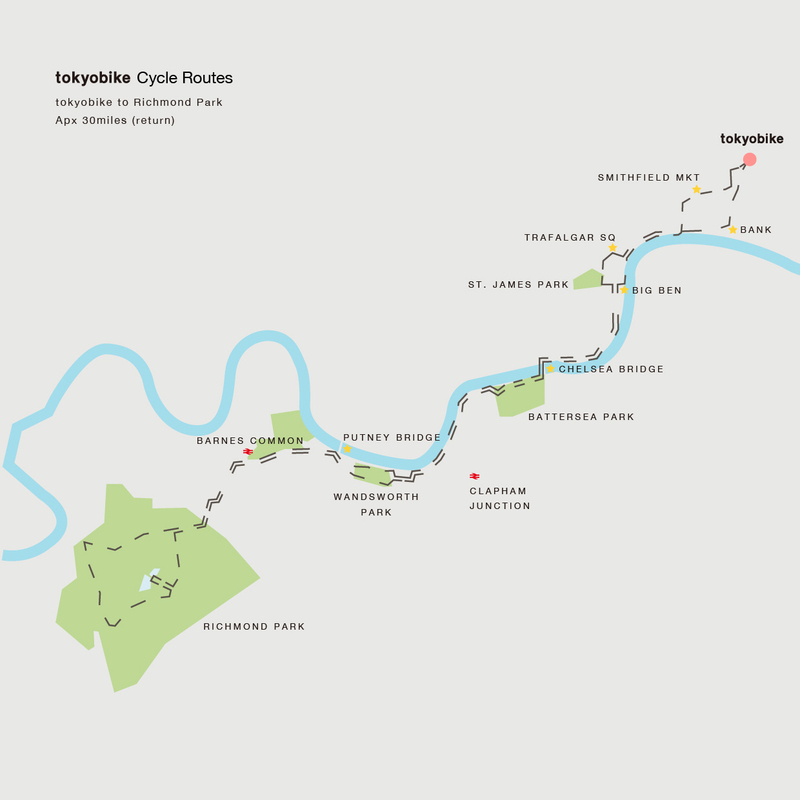 This route heads east from the Ace Hotel in Shoreditch towards the Queen Elizabeth Olympic Park, the Hackney Marshes, Walthamstow Marshes and up the River Lea. 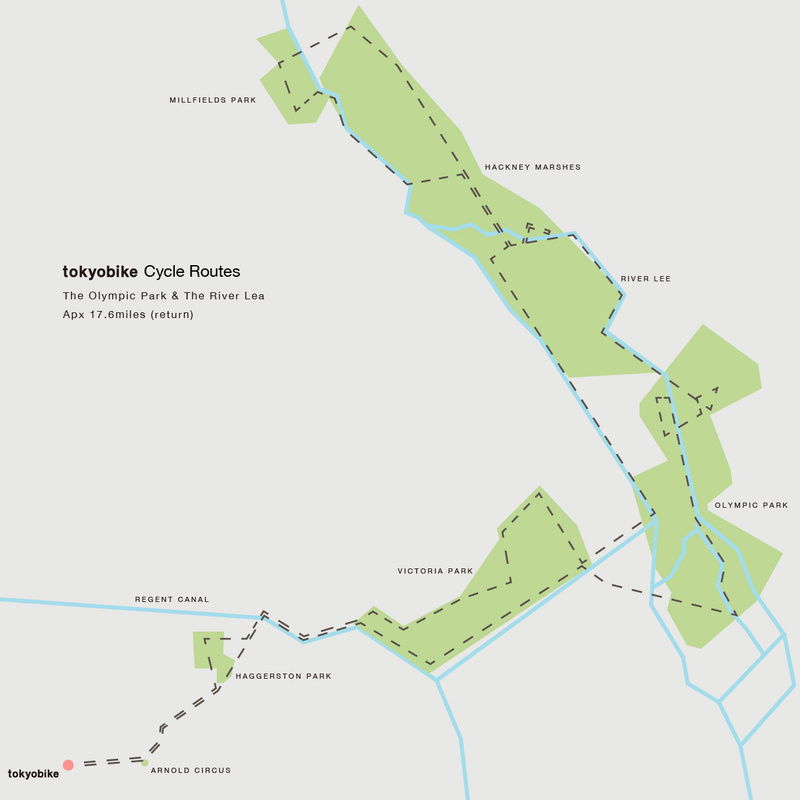 Pump up your tyres at the tokyobike store on Tabernacle Street then start by riding along Rivington Street towards Arnold Circus, Columbia Road and past Hackney City Farm up to the Regent’s Canal. 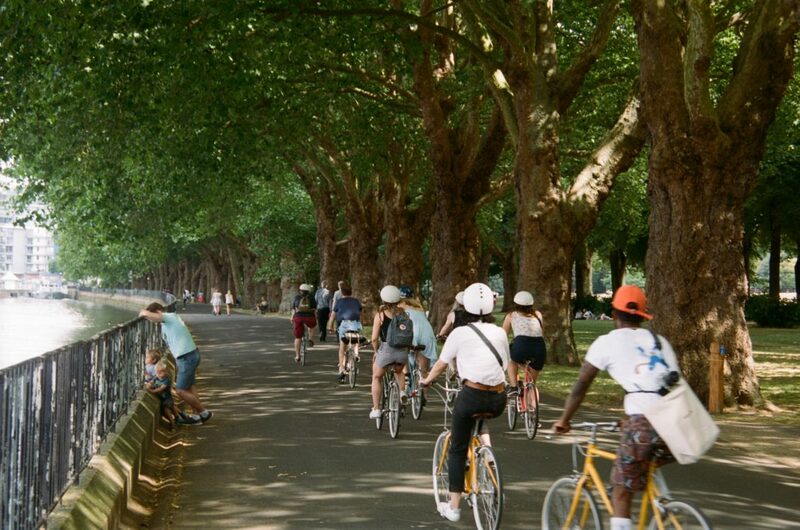 Take the toe path along to Victoria Park where the car free, wide boulevards to the west side of the park make for care free riding. 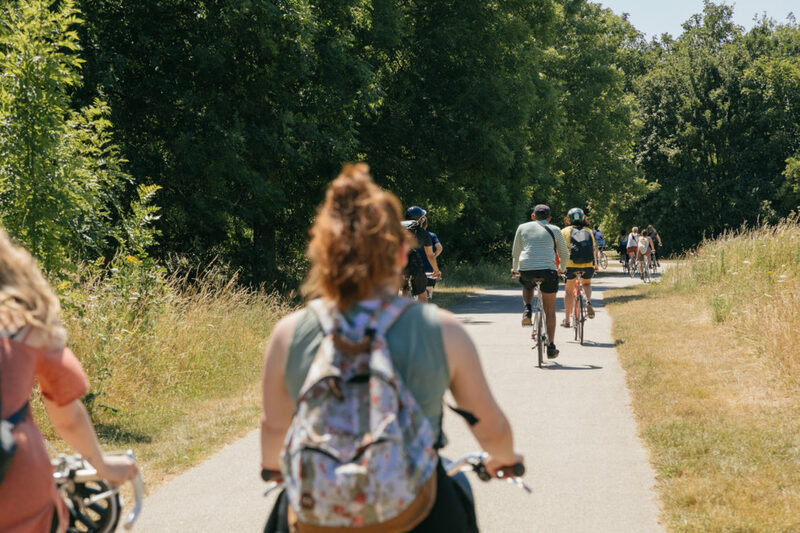 Cross over to the Olympic Park, checking out the glorious Velodrome and make your way over to the Hackney Marshes (the home of grassroots football). 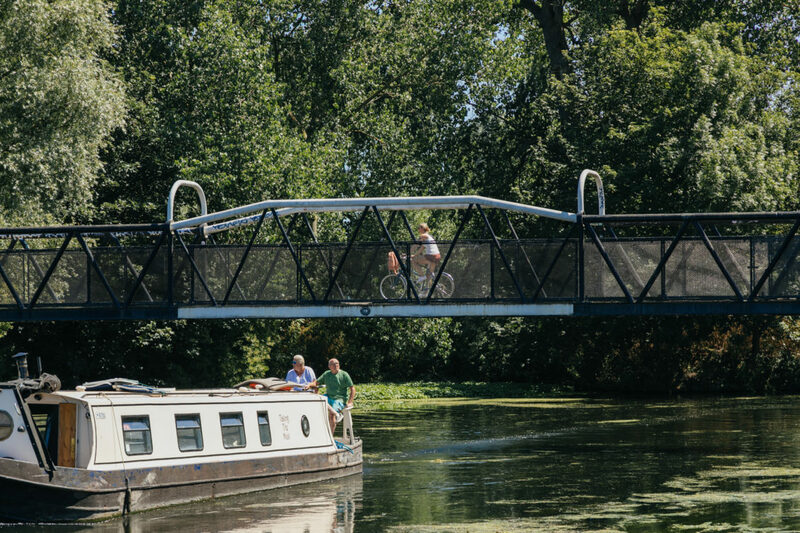 Taking the cycle path that follows the River Lea, continue on to Walthamstow Marshes, past the Riding Centre and the Lea Valley Marina. If you need a rest then stop off at Springfield Park. 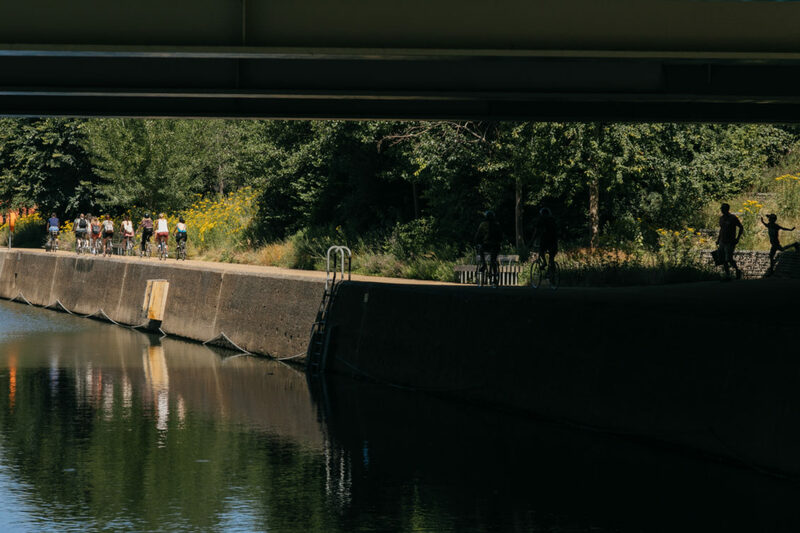 You can make the return journey taking a similar route but across the other side of the River Lea, along the East side of the Hackney Marshes and the Olympic Park, past all of the festivities of Hackney Wick and along the north side of Victoria Park. Haggerston park makes a nice final detour before arriving back in Shoreditch. 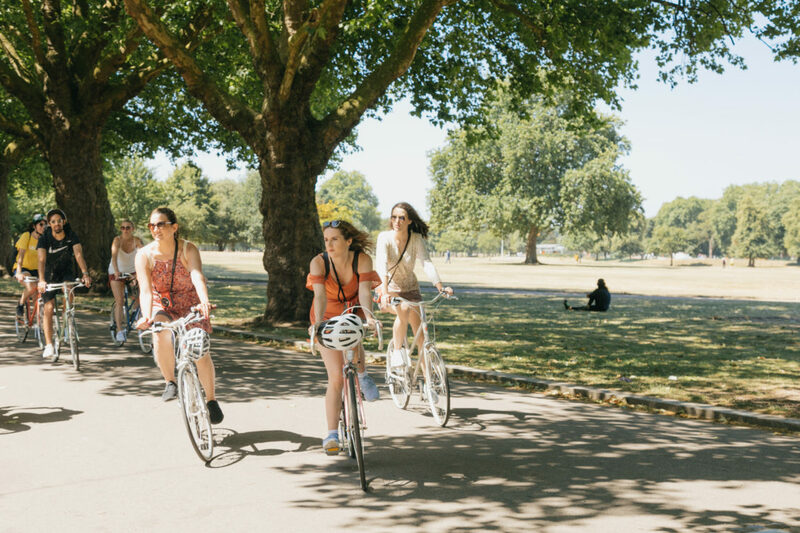 Pick up a rental bike from tokyobike Shoreditch and head west on the quiet streets that run parallel to busy Old Street. The Golden Lane Estate and Barbican complex are worth a look for fans of modernist architecture. 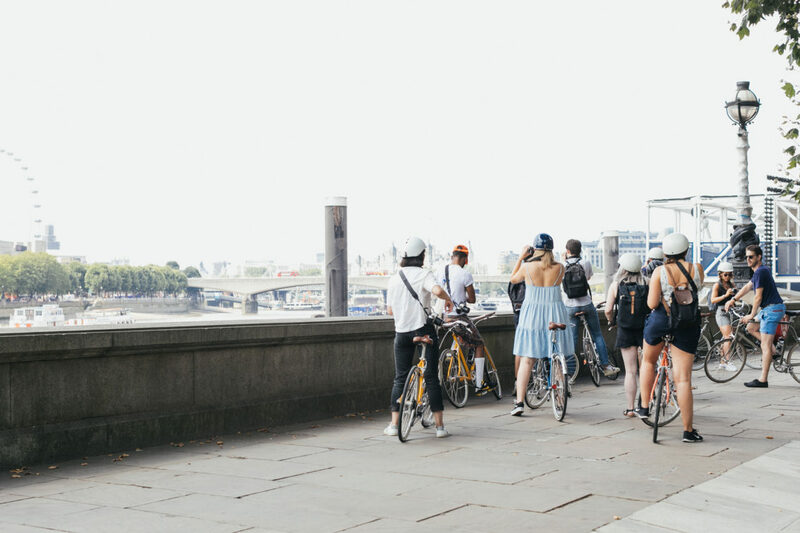 Newly built cycle routes weave down through Smithfield Market to the river Thames and the Victoria Embankment where you can ride in segregated lanes along the north side of the river. Cross over to the south side at the Chelsea Bridge and pass alongside Battersea Park. 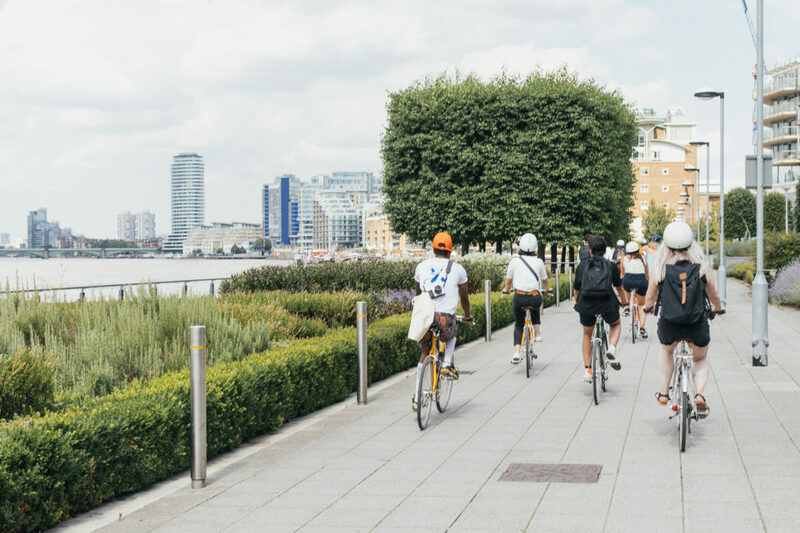 Keeping on the Thames Path you’ll come to Wandsworth Park and then Putney Bridge where you can come off and take lower Richmond Road via Barnes Common to Richmond Park. 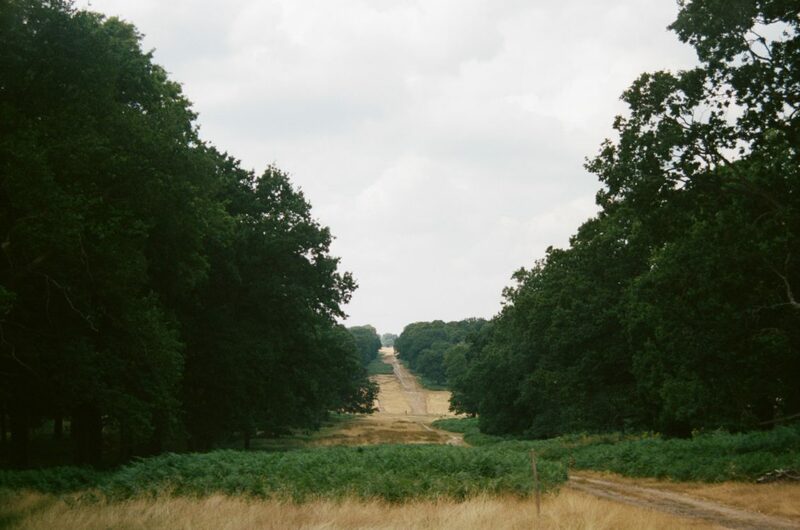 Richmond Park is a haven for cyclists of all persuasion but we prescribe taking a slow pace, checking out the native deer and heading towards the Pen Ponds before turning to make the journey back.